Pro-Design Group was founded in 1989. 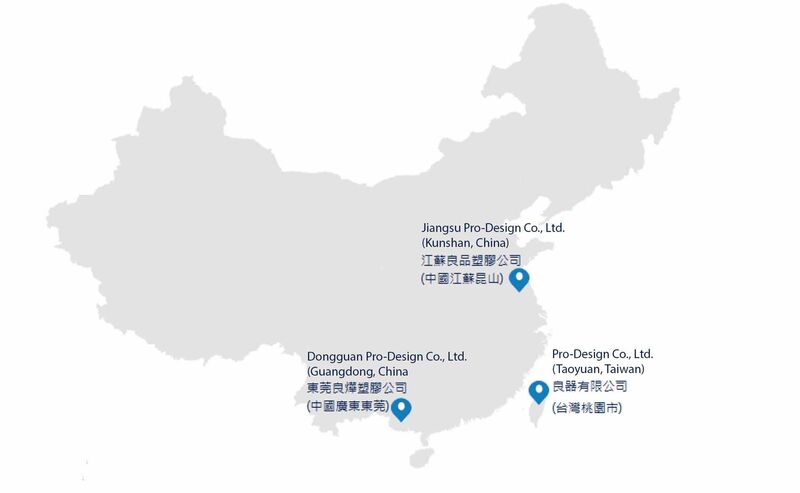 We currently have three factories in Taiwan and China: Pro-Design Co., Ltd. (Taoyuan, Taiwan), Jiangsu Pro-Design Co., Ltd. (Kunshan, China), and Dongguan Pro-Design Co., Ltd. (Dongguan, China). Pro-Design Group is one of Asia's largest manufacturers of plastic containers, providing a variety of capacities from 0.15 liters to 23 liters of plastic containers, with value-add services such as packaging printing. Our customers use our containers to produce a wide variety of products, including paint buckets, oil barrels, ink buckets, special waste, foodstuffs buckets, chemical buckets, and more. Pro-Design Group serves over 18,000 customers, many of which are well-known international companies. Our products are widely sold in the United States, Japan, Australia, Korea, China, Taiwan and Southeast Asian countries. Our product design ability allows us to provide customization services, with a proven track record of ODM experience, and our company has over 19 design patents. Our business philosophy is simple: "honest management, quality first, customer first". Our customers prefer our products for their storage and transport capabilities, ease of use, and customer service satisfaction.